This is a pretty cool bottle opener themed by Star Wars, the classic sci-fi epic franchise. 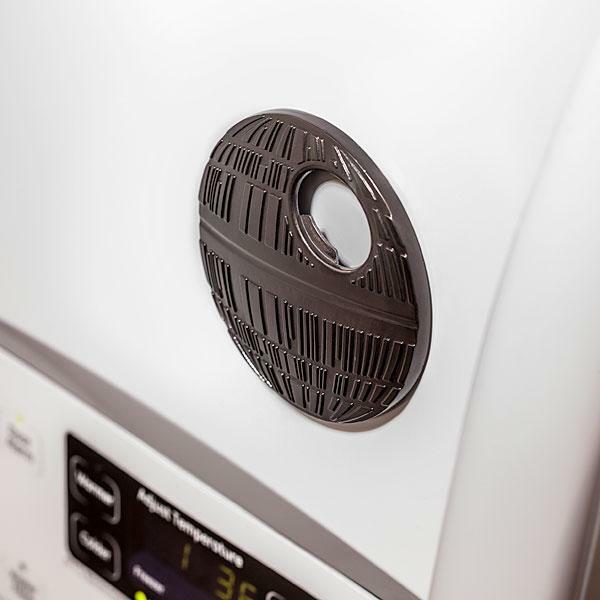 The bottle opener measures 3.25 x 3.25 inches, and as we can see from the images, the bottle opener is shaped as Death Star, the Galactic Empire’s space station and ultimate weapon from the universe of Star Wars, and comes with subtle details. 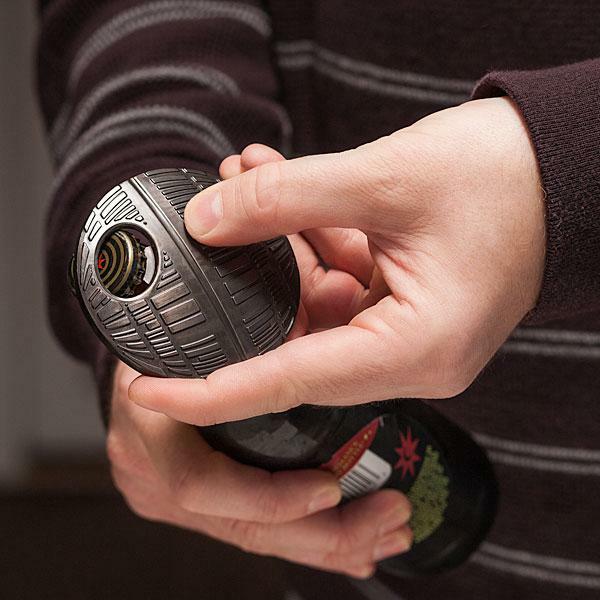 While the iconic super laser cannon has been replaced by a custom opener in order that you can use the mini Death Star to open your favorite beer or other beverages. 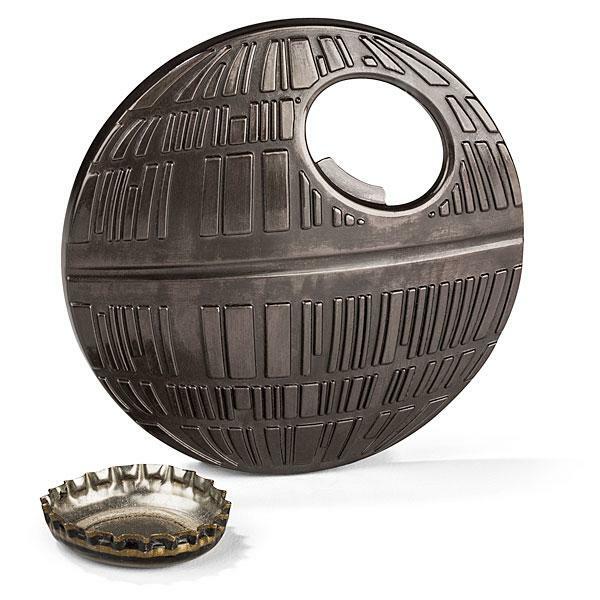 Apart from that, the Death Star bottle opener is made of zinc alloy. When not in use, you can dock the super weapon on your fridge just like a fridge magnet.